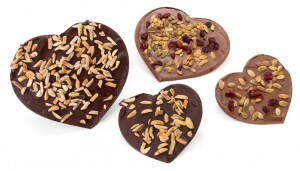 Dark chocolate and milk chocolate hearts. 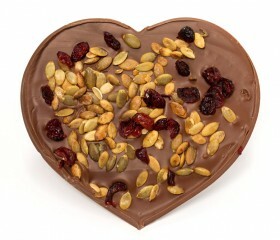 The dark chocolate heart has toasted almonds and the milk chocolate heart has toasted pumpkin seeds and cranberries. 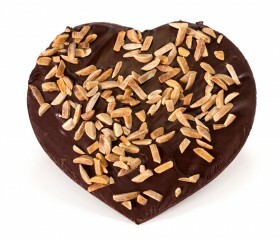 There are two heart sizes of 5″x4″ and 7″x6″.